Eeep! It’s almost halfway through July. When things get busy this blog goes quiet, but I’m going to try to fight against that. Today’s update is a double header. Two of my articles were published by Tofugu last month. HELP! I don’t know how to ALT! was the first of my articles about the fine art of ALTing. Look out for another coming up soon. I was very happy how well this piece was received. Giving advice about teaching tends to get people all riled up. Usually I quite enjoy those sorts of education debated. But here I wanted to write something very practical for new ALTs. I think I succeeded. It has also been picked up by AJET Connect and will be republished in their issue for incoming JETs. Perhaps some of my good fortune was thanks to my collection of Omamori. 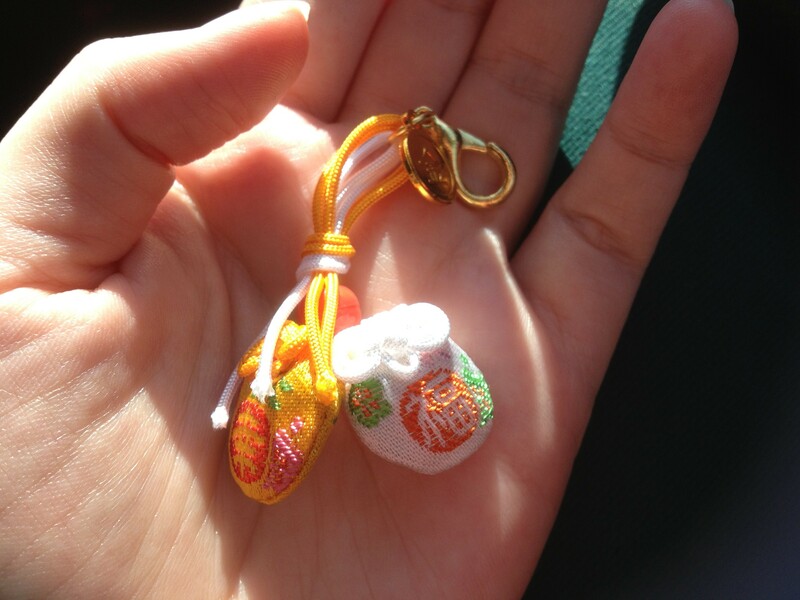 Omamori were the subject of my second article last month. I’m planning on picking up some more omamori before I leave Japan. I need a job hunting one! I’ve written and submitted one article already this month. I’m going to take a break in August as I go travelling around Kyushu and Shikoku. I should get some great material for September onwards though! Another picture of me holding something I’m researching. It’s a good thing I’m interested in non-toxic, physical objects, isn’t it. Otherwise this picture would be somewhat harder to take. Look out for more explanation of what these are on Tofugu.com soon! It is very foggy in Nemuro. That is something of an understatement. To understand how foggy it is here, first you must know that the locals have not one, but two words for fog that aren’t used elsewhere in Hokkaido. It’s so foggy that people had to find new ways if taking about fog. The Japanese for fog is kiri 霧 (きり). Here in Nemuro it’s jiri (じり) or gasu (ガス). The fog can make you feel colder than even the snow or wind. It’s a damp cold that settles in your bones and makes you feel old. My heater is whirring and I’m all bundled up, but I still feel cold. I probably will until July. In other news, this blog post is coming from my phone as I only have limited Internet these days. Rationing my usage has been a bit of a struggle. I’m trying to save it for essential things, like my blogging, booking my journey home and only very cutest videos of fluffy creatures. It’s tough. I am getting more writing done though. My second Tofugu article was just published. There was so much more I could have said about learning to drive in Japan. So many weird moments, like the time my instructor started talking about 666 the number of the beast. Or the giant bat of remorse. Or the way I screeched to a halt at a yellow light on my test, but still managed to pass. 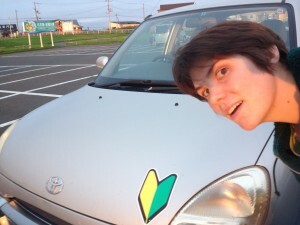 I think driving school will be coming up again in my writing soon. My first article published on Tofugu.com! 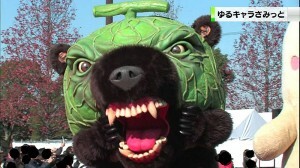 Japan Can’t Decide If Bears Are Cute And Cuddly Or Dark And Dangerous. It feels pretty great to have something published for the first time. This is only the start. Determination station! I knew I wanted to write about bears. Living with bears on the doorstep has been an interesting experience. When I throw out my rubbish I have to put it in a cage. That cage has been patched up with plywood after a bear had a go at it a few years ago. It’s a little bit more worrying than foxes getting into your wheelie-bin.